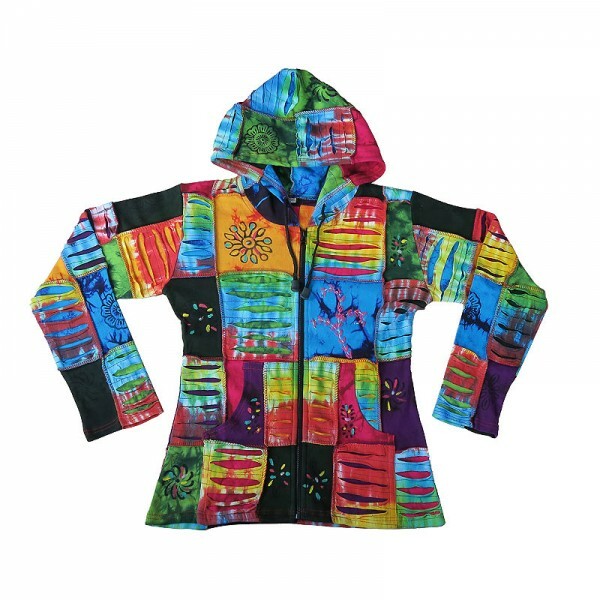 Colorful tie-dye patch work along with block prints over brush painted at front and layer cuts and hand embroidery ribbed cotton regular style hooded light color pattern jacket. Since the Patch work layer cut light color hoodie is entirely handmade using different colors; the arrangement of the colors may vary in each final product. The given weight of the item is calculated for the shipping purpose, so that the actual weight can be different than it is mentioned here.